Our Trampoline & Tumbling (T&T) classes safely teach coordination and body awareness in the air by using trampolines, spring floors, Tumbl Trak and foam pits. The primary benefit to participating in T&T classes is the development of tumbling skills in a fun environment. Trampoline lessons provide proper training that can transfer to other sports such as diving, skiing, cheerleading, and extreme sports. 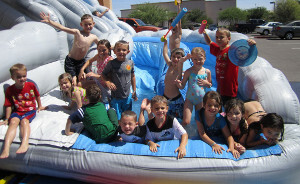 This class is designed for pre-school aged children who love to bounce on the trampoline and flip into the pit. The Novice T&T program will teach the fundamentals of trampoline and tumbling, while working on the strength and flexibility needed to advance to the next level. For your beginning level child who loves to flip and jump. Level 1 athletes will focus on basic skills and positions in tumbling, while practicing the fundamentals necessary to learn more advanced skills on trampoline. A teacher recommendation and completion of all Level 1 skills are required for Level 2. Student continues skill development on trampoline and tumbling in Level 2. Class time increases to 1.5 hours. A teacher recommendation and completion of all Level 2 skills are required for Level 3. Student continues skill development on trampoline and tumbling in Level 3. Class time increases to 2 hours. A child must be recommended for pre-team by a coach or through a pre-arranged evaluation. Students will begin working Level 4 skills and routines in preparation for competition Level 4 on Trampoline, Double-Mini and Tumbling. Level 4 Pre-Team is a commitment that requires additional hours of training and an increase in strength work. 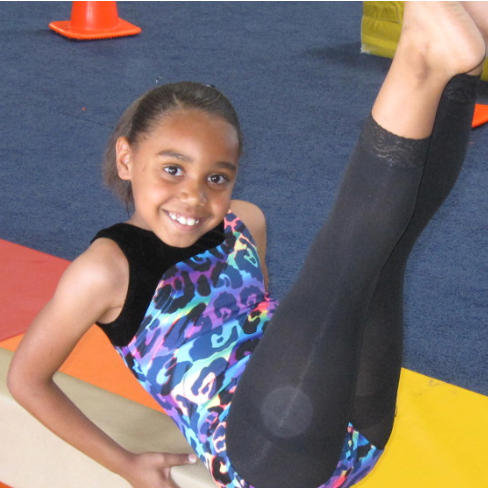 The goal of our girls gymnastics program is to teach gymnastics skills in a fun and safe environment. Along with strength and flexibility training, students will work on skills on the four Olympic events: vault, uneven parallel bars, balance beam and floor exercise. We also incorporate trampoline exercise and basic dance skills to enhance the technique of these tricks. Cheerleading is one of the fastest growing sports among youth today. 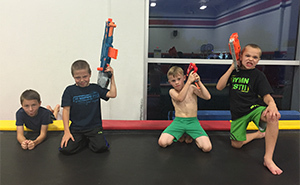 Not only is it a great way to keep kids active, but it also promotes teamwork and develops confidence and interpersonal skills, as well as encourages a healthy lifestyle. 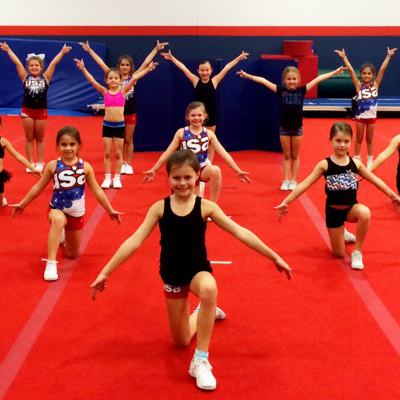 Jumping, dancing and tumbling teach coordination and provide cardiovascular exercise while stunting and other acrobatic moves enhance strength and flexibility! USA Dance is a comprehensive dance program that welcomes dancers of all ages and skill levels! Our recreational program offers an introduction to foundational dance skills in core dance classes such as Ballet, Jazz, Tap and Hip Hop. Classes are also offered for styles such as Modern, Lyrical, Musical Theatre, Ballroom, Improv and Broadway. Dancers learn fundamental movement and dance concepts through fun choreography!